This quote has been placed at the beginning of Tóchar Phádraig at Ballintubber Abbey establishing a meaning of pilgrimage which draws on the early Irish Church. I have referenced this quote in numerous public presentations and it is a sort of definition of pilgrimage that really resonates with people. 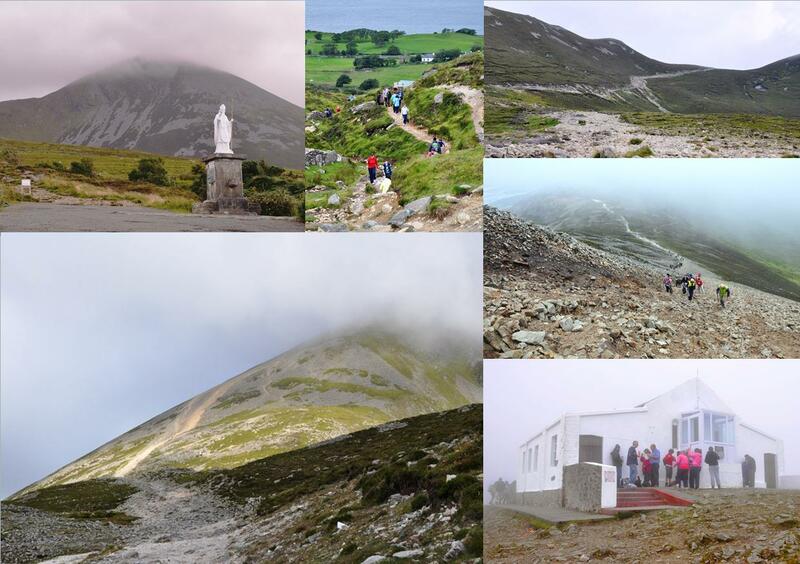 It nicely combines the idea of pilgrimage as a physical journey and a spiritual/emotional (or meta-physical) journey. As I have previously discussed, pilgrimage involves a number of characteristics that distinguish it from other types of travel and this quote captures that idea well. Pilgrimage is a type of meaningful movement, a journey or undertaking of significance, one that takes shape in doing, feeling and believing. As someone who is researching pilgrimage practices, I am predisposed to paying attention to how, when and why the term is used. This ranges from everyday conversations to newspaper articles to twitter hashtags (#pilgrimage). It becomes quickly evident that the term is evoked in numerous and different ways beyond its original religious meanings, with all manner of journeys being referred to as pilgrimages. An earlier post discussing the characteristics of pilgrimage, highlighted the roles of movement, place, meaning, transformation and embodiment in defining the activity. That piece was particularly focused on traditional spiritual-religious pilgrimage, although references were made to different types of pilgrimage, such as cultural, nationalistic or personal ones. Here, I wish to tease out some of these ideas in more detail. A point which is frequently made concerns the closeness and blurring between pilgrimage and tourism, particularly heritage or spiritual based tourism. It is apparent that not everyone who visits religious pilgrimage sites is a believer, and simultaneously not all pilgrims endure to traditional arduous and challenging aspects of pilgrimage. With increased personal mobility in parts of the world, the lines between tourist and pilgrim are not as clear cut as they were once conceived as being; indeed, it was probably a fallacy to think of them as ever being entirely discrete. The nature and structures of different places, and the practices performed there, equally illustrate the complex and fluid nature of pilgrimage. 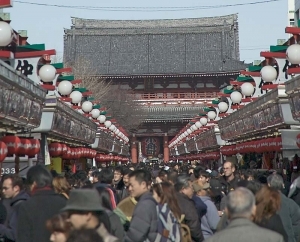 Both in terms of manifestations and practices, religious sites and secular/popular locations have shared elements, some of which are more typically only attributed to one or other. Major pilgrimage sites have all the facilities and services associated with tourist destinations, while secular places, such as Graceland or the Vietnam War Memorial in Washington, feature practices with religious connotations including processions and the leaving of small objects. Indigenous or ancient sites also play a role in these discussions, as they are sites that are visited by not only tourists, but also ‘New Age’ groups or others in search of spirituality. Stonehenge and Machu Picchu, and other similar locations, are seen as being spiritual, non-modern places, and therefore attract those seeking otherworldly experiences as much as tourists. These places can be seen to occupy a curious middle-ground between the established religious locations and the tourist destinations. 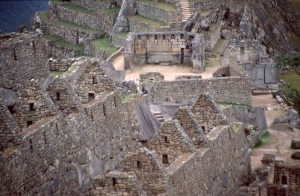 Machu Picchu: houses in the Western Urban Sector, Sacred Square. Source: http://commons.wikimedia.org/wiki/File:Machu-picchu-c07.jpg Issued under the Creative Commons Attribution-Share Alike 2.5 Spain license. The most significant factor in all of this lies in the idea of fluidity and a willingness to applying the characteristics of pilgrimages to all manner of journeys. In conceiving and treating of pilgrimage and other journeys an openness to individual and group motivations and experiences need to be a guiding idea, so we can gain a better and more accurate understanding of these human behaviours. Campo, J.E., 1998. American Pilgrimage Landscapes. Annals of the American Academy of Political and Social Science, 558, pp.40-56. Ivakhiv, A. 2003. Nature and Self in New Age Pilgrimage. Culture and Religion, 4 (1), pp.93-118. Plate, S.B., 2009. The Varieties of Contemporary Pilgrimage. Cross Currents, 59(3), pp.260–267. Reader, I. & Walter T. eds, 1993. Pilgrimage in Popular Culture. Hampshire: Macmillan.